Al-Shabaab Claimed an Attack on Presidential Palace in Somalia. The Islamist terror movement al-Shabaab has claimed a double attack on the Somali presidential palace. A first car loaded with explosives drove into a barrier, another vehicle exploded at another checkpoint near the main entrance. That is what Abdullahi Ahmed, a high-security manager, reports. The attackers tried to find their way to the palace itself. Then there was shot back and forth between the attackers and the security services. “Three attackers were killed,” said Ahmed. At least seven civilians were injured. Some would be in a critical condition. Five people were wounded under the security forces. According to a police officer, the first car bomb was detonated by a suicide bomber, the second at a distance. In a press release, al-Shabaab demanded this attack. Last week, this terrorist movement also required an attack on the Minister of Security. Besides, five people were killed according to the police. 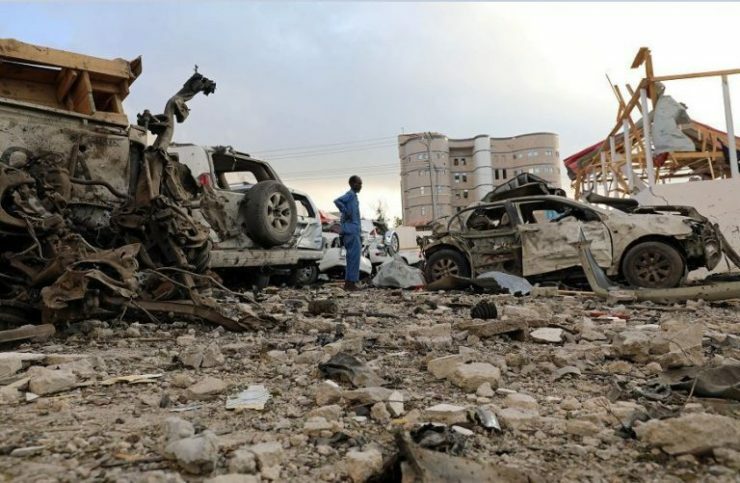 Somalia has been in the grip of a bloody conflict between the government and al-Shabaab since the fall of dictator Mohamed Siad Barre in the early nineties. The group regularly performs attacks in the East African country, in the hope of ever being able to establish an Islamic state there.